Private Tours with Made Surisna Custom-Designed for you. These tours are more than just hiring a driver. Made’s professionalism, expertise and personalized services will give you a doorway into Bali life. He has insight into Hindu customs and will introduce you to some of the ceremonies. If you want to meet a Balinese Priest or attend a sacred ceremony he can make the arrangements. He can even show you a Balinese home and provide a home-cooked meal. 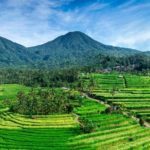 If you are the adventurous type he can arrange for an overnight hiking adventure or take you to a special beach for the best snorkeling in Bali. Made Surisna, Driver for over 25-years and owner of Bali Cheap Cars. Fluent in English and Japanese. Also available for customizing tours to other islands and regions of Indonesia. Prices start at 600K per person (min 2 people). What I need from you is minimum and maximum people…600K plus …. Can you arrange for a special ceremony with a priest? How about entry into a home and dinner cooked by a Balinese…when Kadek went to Petulu with me we went into a home of a Balinese…it was incredible…experiences like that…CUSTOM DESIGNED! I can come up with a hundred ideas!!! !